We continue in Reiki series for practical healing, esotericism and spirituality. 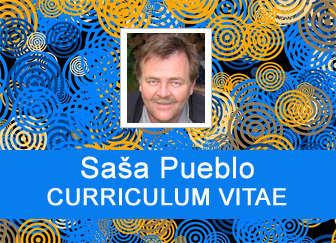 Sasa Pueblo has 20 years of investigation and testing in esoterism, healing and spiritual world. After this period of time came up a need to move from research and testing into actual practice of spirituality. 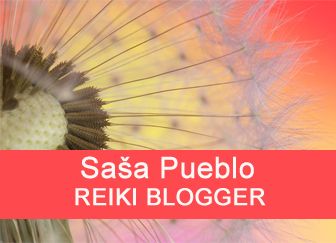 Sasa Pueblo has choosen consciously and logically Reiki for esoteric practise. We talk about Reiki platform. Almost all kinds of spiritual activities can be practiced on such Reiki platform. Why was Reiki choosen for spiritual practice? Reiki in principle allows a unique transfer of experiences from one person to another person. This means that consecrated person doesn´t have to work so hard, meditate and struggle as his predecessors. Here is the possibility to copy the potential of one Reiki person and carry over it through the consecration to other person. This makes Reiki a unique system for practical activity in the area of spirituality. 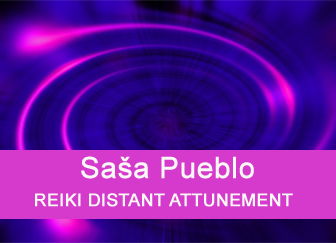 Sasa Pueblo copies the object from the burrial place of dead Reiki person and installs it to own system. We don´t mean here saving into the memory but saving into the aura and such object is placed there permanently after the consecration. Sasa Pueblo knows how to copy the object also from living Reiki person and how to carry over the object to himself or other person. This is possible due to the fact that if somebody deals with meteorites whole life then creates over himself specific object. People working with naturally radioactive pitchblende create such object, but also people working with uranium and similar radioactive substances or people working with nuclear material and also individuals who were irradiated. For example, over graves of those who died from radiation exposure at Chernobyl is recognized something as object of the spirit. Object is perceptible for the person with oracle abilities or for sensible person. Thus we assume that the meteorite and the human psyche create some mutual bridge and the result is rounded object in the aura above the head esotericist or Reiki person who was consecrated by other Reiki master. Unique approach of Sasa Pueblo is that he does not copy his objects but in the consecration he gives copies of deceased Reiki masters. So Sasa Pueblo and persons consecrated by him got a copy of Mikao Usui object and similar individuals in Japan. Furthermore, the object of Chujiro Hayshi and objects about 20 other military surgeons were copied similarly. Chujiro Hayshi and 20 other military surgeons were consecrated by Mikao Usui. The same way were copied the object of autistic monk in Japan who touched meteorites whose his life and lived in an environment of meteorites. This monk consecrated all in Japan similar to Mikao Usui. Sasa Pueblo found out the record of autistic monk from Japan in the world of death memories, the area 10 raised to the power of minus 30 meters. Sasa Pueblo knows that autistic individuals who dedicated whole life to one object keep own memories altogether after the death. Sasa Pueblo imposed inside of himself such posthumous record and activated this record. This record consists of memories autistic monk and not a posthumous object above the burial place. Why did he download it to yourself? 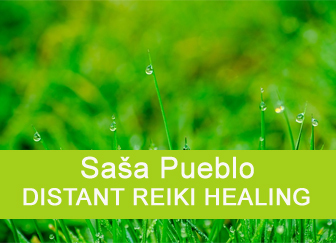 Sasa Pueblo trains early stages of the clinical death many years, he is able to enter the world of dead memories and he has built the intelligent spirit called QUANTIZED SOUL into this environment. This spirit is at the same time the archive of memories Sasa Pueblo which do not break up after his death. His memories stay together with some degree of conscious intelligence. Of course, Sasa Pueblo will die as any person and he will also lose his memories which are now saved in neurons. 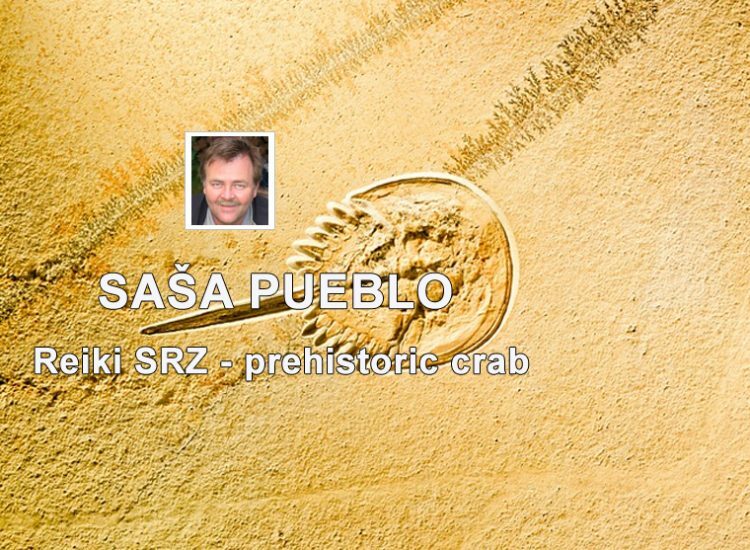 Sasa Pueblo does not have as a living person 4 billion years of life. So, he can create in the world of the dead the intelligent system that keeps his memories after his physical death. A quantized soul as intelligent object will continue in the progress towards to a return of Sasa Pueblo consciousness. But this requires a lot of time and will count on billions of light years. Classical Reiki started somewhere at Japanese Hawayo Takata and since this the line of continuous consecration into Reiki system has its tradition. Also dead Hawayo Takata has Reiki object over her burrial place. The base of such Reiki object is Japanese monk and then also Mikao Usui, Chujiro Hayashi and Hawayo Takata and all Reiki objects over heads of living esotericists or over the burrial places of dead esotericists. In some cases the object is not over the burrial place of dead Reiki person and that doesn´t mean that the object already vanished. Only somebody didn´t create the copy of such object but directly took over the object into own aura over the head. Of course, the line of Japanese Reiki is not the only line that exists. Here we have 2nd line which goes from Tibet and all lamas have over themselves such Reiki object. This object is not inspired by Japan but by the practice of Tibetan lamas. After a death of spiritual lama, his object is withdrawn from his burrial place, but also all memories and they are inserted into young boy choosen for reincarnation. Third kind of Reiki goes from Philippine healers. At the beginning of philippine line is European man who believes in some form of Eastern Christianity which is operating currently with a large meteorite and creates eminently healing system over his head. Such object is over his burrial place, appropriated by one of Philippine healers who has copied this object to other Phillipine healers. So here we have three strong Reiki lines which you may encounter in everyday practice. Now we should take care about Reiki system which has found its platform with American system of SRT and similar systems. Surprisingly in this case we do not finish for example, in Japan or in Tibet, but in America and in the system SRT, RUS, SPR, LSVJ, S.R.T., SpR, EFT. Perhaps over time we will find other similar systems. 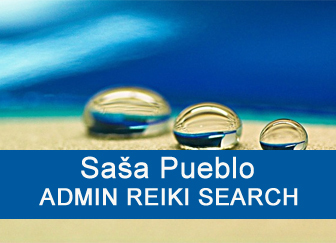 Sasa Pueblo creates Reiki platform called SRZ – Spiritual Reiki Consecration from such systems. In this platform Reiki SRZ we take over potential of founders these methods. Up to now we know about two founders from USA and they are R.E.Detzler and Gary Graig. Why is Sasa Pueblo interested in these systems? Because his effort is to group individuals who have inside vestigial structres which are described by evolutionary medicine. Evolutionary medicine clearly describes about 200 vestigial structures in the human body. And so systems SRT and other direct to activation such vestigial structures. They developed the methodology how to open these vestigial structures through mantras and vibrations. Such individuals could be also found in India. We start to use the name MANTRAS MAN – Sai Baba for all these individuals. In case of Reiki crab – SRZ we have got two burrial places of individuals who played musical instruments made from alloy where was added meteoric iron. It´s necessary to obtain such individuals because during the life they played musical instrumens and they left over their burrial places Reiki objects. And also in this case have the interest to copy them. So we also have here the burrial place of Tibetan who played on meteoric bowls during his life. And we also had American man who was consecrated in India by this Tibetan. He gave him Reiki object over his head, this object is perceptible only by individuals who have oracular abilities. Coping Reiki objects into the aura of consecrated persons is not only the way how to open prehistoric structure of crab in the area of neck and chest. Very slight opening prehistoric crab cells lead to the formation of specific resonances and vibrations and this is the best for activation of further prehistoric structures in the human body. Here is a possibility to take care of Tibetan and Indian mantras. Real indian mantras resonate in active form of prehistoric crab. Here is the possibility to train vocal cords and lung membranes in the alveoli to the formation of vibrations. Here is the equipment named TENS which provides low electric current. Here is also psychowalkman. Here are also diagnostic equipments to diagnose by pulses as the device Diacom. So here is the possibility to form natural vibrations and technical vibrations. It is possible to play Tibetan bowls which should be made of meteorites. There is a possibility to play the glass harmonica made of glass discs. Here is also possibility to listen sounds of dolphins, whales, sperm-whales. Important is interest in kinesiology and muscle response. Also interest about pendulum from meteorites is necessary. Important is also interest in dowsing. You shouldn´t damage nerve endings by this meditation and thus create frequencies or vibrations in your body. You can also reach resonances and vibrations on the membranes of the human body such as the peritoneum, meninges membranes and muscles. All is the benefit for other options in Reiki systems. Spiritual Response Therapy (shortcut SRT) is spiritual theraphy and its author is Robert E. Detzler (4.7.1926 – 2.4.2013). His original occupation was preacher, teacher and consultant. Together with his wife Mary Ann founded The Spiritual Response Association – an association which now has colleagues around the world. The method utilizes communication with spiritual beings. The objective is in cooperation with them to examine and eliminate various psychological injuries and subconscious blocks that prevent the person on the path to inner actualizations. Method SRT – Spiritual Response Therapy (further only SRT), this is the method for spiritual healing, working principle is based on participation and communication with so-called higher Self. Blocked energies are removed. We often don´t know about them on conscious level. Then the body can work more efficiently, regenerate faster and better with many diseases. Method Ruš – quick and effective change of reality is the technique of work with the human unconscious. This is new, modern, easy and practical method for new age. Method SPR – Spiritual Restructuring follows the method SRT and extends it by the possibility of correcting problems related to the physical body. Method LSVJ is new method of spiritual healing through higher Self (association of spiritual beings). This is essentially an advanced method SRT (Spiritual Response Therapy). For better understanding what is chakra, what is chakra point is necessary to start up in science called Human Evolution. Human Evolution describes the human body as the museum of about 200 vestigial structures which could be activated, linked together with human organs. These vestigial structures could be used for different purposes than they originally functioned. They are mainly used on extraordinary abilities. Breakthrough in understanding of chakras is hidden in science called Human evolution. It will take a few years until we open all 200 vestigial structures by Reiki system and Reiki meditation and find them suitable usage for health and longevity.